The park has a long history and was one of the first areas to be explored in the city. The land was originally used by indigenous peoples for thousands of years before British Columbia was colonized by the British during the 1858 Fraser Canyon Gold Rush. For many years after colonization, the future park with its abundant resources would also be home to nonaboriginal settlers. The land was later turned into Vancouver's first park when the city incorporated in 1886. It was named after Lord Stanley, 16th Earl of Derby, a British politician who had recently been appointed governor general. 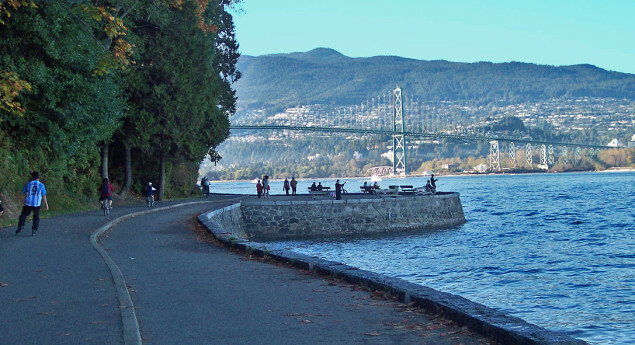 Significant effort was put into constructing the near-century-old Vancouver Seawall, which can draw thousands of residents and visitors to the park every day. The park also features forest trails, beaches, lakes, children's play areas, and the Vancouver Aquarium, among many other attractions. 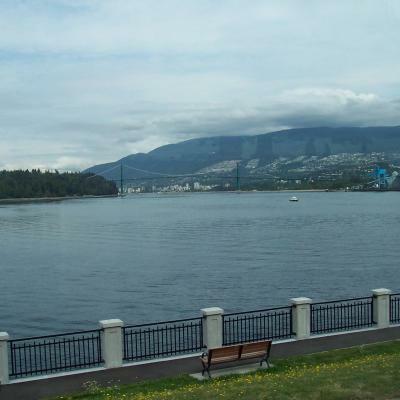 On June 18, 2014, Stanley Park was named "top park in the entire world" by TripAdvisor. We enjoyed our walk along a section of the seawall. Unfortunately, in 2007, some of it was still closed due to the major storm the year before. We also walked past many of the downed trees that were still being removed. 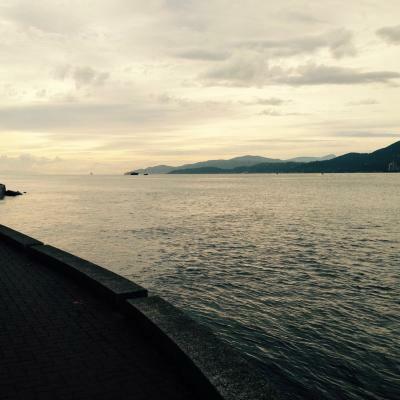 No matter the moment of the day, walking on the seawall is relaxing. This is also a place where the water meet with earth. The scenery is a delight for the eyes. A great escape from the city without going out of town. 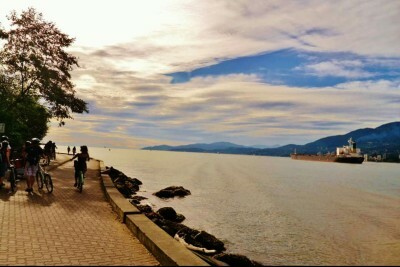 Love this place- its a short Rollerblade from my house in kits. Be cautious that there is only a one-way bike trail to reduce cyclist pedestrian crashes! Worth it to take a day and stroll the coast looking out into the bay- especially worth it at dusk or dawn! 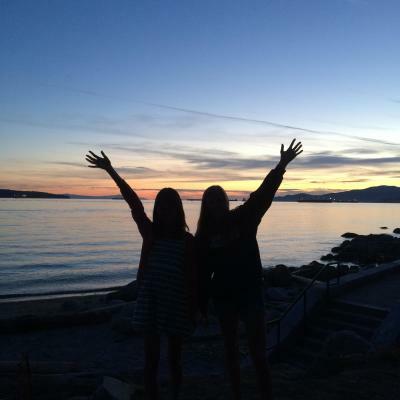 In January 2016 my mom and I had spent a week in Vancouver, British Columbia. 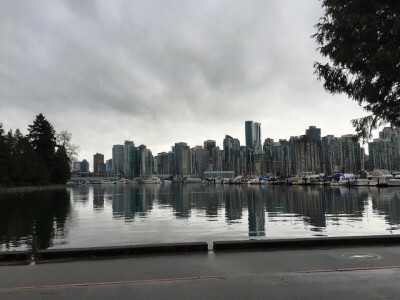 We had spend an entire day at Stanley Park and we took our time to walk the seawall. We took the time to take in the breath taking ocean view and smell, and living in Leduc, Alberta you don't get a view like this everyday. being in Vancouver for a week made me realize how beautiful mother natures creations in this world are. It made me realize that being in such a breathtaking environment can really relax you. I went from stressing out about so much to totally relaxed and calm. Just being around the beautiful scenery and the amazing ocean smell gave me complete relaxation and was pure serenity. I went around the Seawall by foot, but I've also done it by bike before. Lovely views and Stanley park is such a cool place! We saw horse drawn carriages riding around and got to play on the shore. learned a couple things about the seawall! have biked it but never knew some of those fun facts.